This is the most ordinary of the books I’ve read by Brandon Witt, and it may be his best writing yet. The story of a construction worker and a teacher, these characters are grounded and their experiences are painfully realistic. Both survivors of traumatic childhood experiences, Isaiah and Ben meet at a care team meeting for one of Isaiah’s pupils. I loved their awkward attempts at dating. I loved the mixed messages and confusing signals. This book has some incredibly uncomfortable dating scenes and I loved the realism. There is an uneasy tension between the relatively normal awkward start to a new relationship and the fear both Ben and Isaiah feel when they have to reveal and explain their early traumas. Parts of this story are incredibly dark and very difficult to read. Every time this story gets too dark, the author throws in a drag-queen or a go-go dancer in a turkey costume to lighten the tone. Ben’s drag “mamma” and the rest of his wonderfully eclectic family of choice are fabulous. Even though Brandon Witt always writes m/m, this is the first book I’ve read where his characters are firmly embedded in the queer community and I really loved the colour and drama the drag queens and go-go dancers add to this story. As a teacher and a foster carer, there were moments when this book was just a little too accurate. Isaiah and Ben’s work with Aaron is way too familiar. Only someone with experience could so perfectly capture the equal parts love and exhaustion involved in caring for or attempting to teach a looked after child with emotional difficulties. The slightly cumbersome plot is the only reason I haven’t awarded this book five stars. At times, there is too much going on for one book. Every character and every event demands an emotional response and I was completely exhausted by the end. I loved all of the characters and I thoroughly enjoyed the romance, but I could have managed with fewer revelations and less complicated back stories. 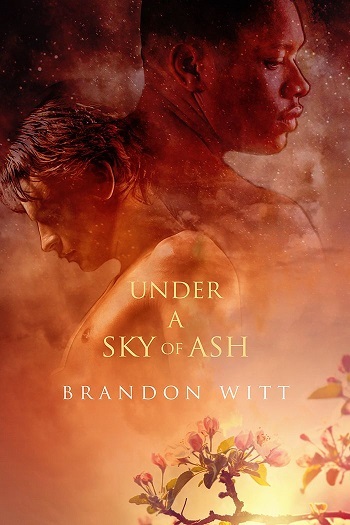 Reviewers on the Wicked Reads Review Team were provided a free copy of Under a Sky of Ash by Brandon Witt to read and review.